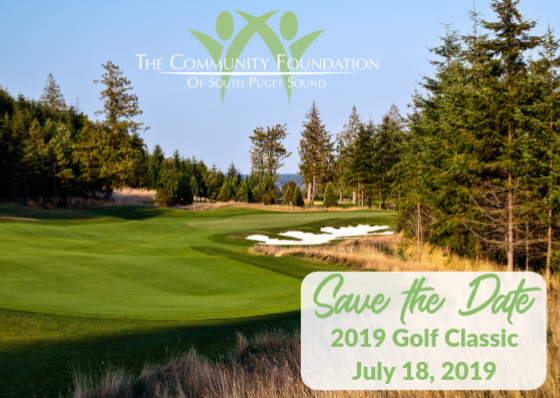 Mark your calendars and plan on joining us July 18, 2019 for our annual Golf Classic at the Salish Cliffs Golf Club! The Community Foundation Golf Classic is just one way we are helping to encourage local giving and supporting effective philanthropy in our communities. A sponsorship in the Golf Classic directly sustains the Foundation's work throughout Thurston, Mason, and Lewis counties.